We are proud to be the location for the Northwest Girls Coalition 2nd annual resource fair! 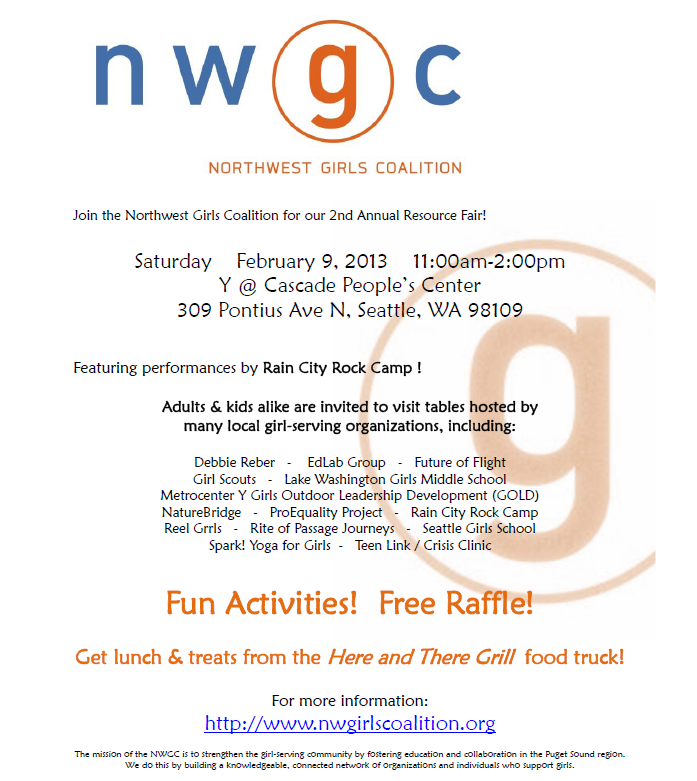 Join us on February 9th from 11-2 pm to check out all of the amazing organizations that support girls in Seattle! We are proud that our very own Metrocenter Y Girls Outdoor Leadership Development program will be a part of this awesome event.